Nintendo sold a staggering number of video game consoles in November, moving more than 2m Wiis in the US alone and smashing sales records for a non-December month... twice. Wii shipments in the US totaled 2.04m in November, according to the market bean-counting firm, NPD. The nearest competitor for the month was Microsoft's Xbox 360, with shipments of 836,000 units. Sony's PlayStation 3 trailed far behind in November with only 378,000 units shipped. For portable consoles, the Nintendo DS shipped 1.57m units, marking the second-highest total of game console shipments for a non-December month. The Sony PSP moved 421,000 units in November. Across all its platforms, Sony outsold Microsoft by about 169,000 units. Between shipments of the Xbox 360 and PS3 alone, the numbers clearly favor Microsoft. In fact, the Xbox enjoyed an extremely solid month of sales — up 8.6 per cent from a year earlier and the best month in 2008 for the console, according to NPD. For Sony... not so much. Although Sony sold about twice the number of PS3s it did in October, the number of units dropped by about 880,000 from November of last year. Nintendo, meanwhile, was in a class of its own. 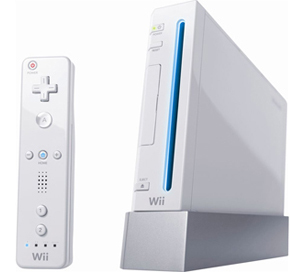 The white-hot Wii outdid shipments of the Xbox 360, PSP, Playstation 3, and Playstation 2 combined. It's also rather surprising that there were even 2m+ Wiis out there. The console has been supply-limited since its debut, which bears the question of whether Nintendo could have moved these numbers of units any other month. And a question likely closer to many holiday shoppers' hearts, are there any Wiis left to ship in December?